Two strangers meet over the hood of a used car in Texas: Marcus, who is fleeing both his financial and personal failures; and Maria, who, after years of dodging her mistakes, has returned to her hometown to make amends. One looking forward, the other looking back, they face off over the car they both want and think they need--a low-slung sky-blue 1984 Buick Electra--and, after knowing each other for less than an hour, decide to buy the Buick together. Parker has crafted a surprising love story about the power of friendship and the ways we must learn to forgive ourselves if we are ever to move on. Diverse characters struggle with failed relationships, alcoholism, emotional abuse, and guilt and are propelled by beliefs of what they must do to achieve redemption. Parker's follow-up to If You Want Me to Stay is an engaging collection of stories, most of which explore the devastating nature of love. In the affecting "I Will Clean Your Attic," despondent southerner Laura discovers consolation from a source as unexpected as the blizzard that has her trapped in her house. In "Everything Was Paid For," a small-town drug dealer is fiercely intent on payback for his maligned lover. Reunited couples "wretched in love," a delusional husband falling back in love (though not with his wife), a love-starved college dropout--all are subjects in Parker's adept and subtly amusing tales. Writing in a Faulknerian first person that conveys the 14-year-old protagonist's mental escape artistry, Parker explores the bonds of a family wracked by mental illness and abandonment in this fully realized fourth novel. In the 1970s rural South, Joel Dunn Jr. takes care of his two younger brothers, Tank and Carter, whenever his father "goes off" and, for example, exorcises their TV. Their mother has long since left for parts unknown; older sister Angie has also bolted without leaving word of her whereabouts. When Joel Sr. hurts Carter during one of his episodes, Joel Jr. packs Tank into their father's truck and sets out to find their mother. In the autumn of 1975, a small town struggles with the mysterious murder of Brandon Pierce, a gay teenager found dead in his parents' bed following a high-school key party. As Thomas Edgecombe, the editor of the town's newspaper, diligently reports on the crime, he begins to suspect that his two sons may know more about the murder than they're letting on. Daniel, a straight-A student and a friend of the victim, seems destined for a prestigious college scholarship and a letter life, while his younger brother Pete numbs his adolescent pain in a haze of marijuana smoke and derelict behavior. The intertwined wanderings of 25-year-old Eureka Speight, recently released from wrongful imprisonment for her lover's death and anxious to start anew, and her younger brother, Randall, sensitive and complex but unable to weather the harshness of existence, might seem contrived and flat in most novels. In Parker's third, however, they mature into an absorbing narrative that perceptively explores twin searches for identity. The siblings reunite only when they return home to Trent, but they find that a true reunion is impossible because in the course of their travels they have grown apart. Parker's lucid yet lyrical style is at its best when his sentences unfurl gracefully. This is an introspective work that should awaken readers' imaginations and their awareness of their humanity. 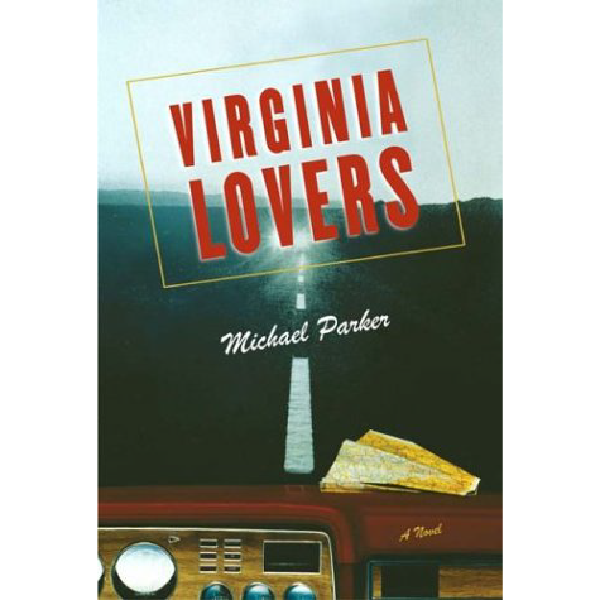 Two novellas form the heart of this stellar collection by the prodigiously talented Parker. In "As Told To," an older brother's request to critique his memoirs leads Matt Carleton to question the truth of his own memories while unlocking a 50-year legacy of resentment. A bus breakdown in "Golden Hour" becomes the catalyst for major changes in the lives of a repressed vocational college administrator, her regular-guy boss, and a radical musician. Told alternately by its three characters, this story offers a wild, seriocomic look at political and cultural differences in the South, circa late 1970s. The four short stories further showcase Parker's sumptuous language, rich evocation of place, and ability to capture an astonishing range of voices. Set in the 1950s, this haunting first novel begins amid the ruins of a broken life. In a misguided attempt to break free of the rigid Southern society he lives in, wealthy young Edwin Keane has made a tragic mistake. As the small town of Trent, N.C., conspires to protect him from the consequences of his actions, Edwin descends into an abyss of guilt and morphine addiction. Redemption lies in the love of 17-year-old Eureka Speight, daughter of a bitter, displaced dirt farmer, but first Edwin must overcome his addiction and confront the past.